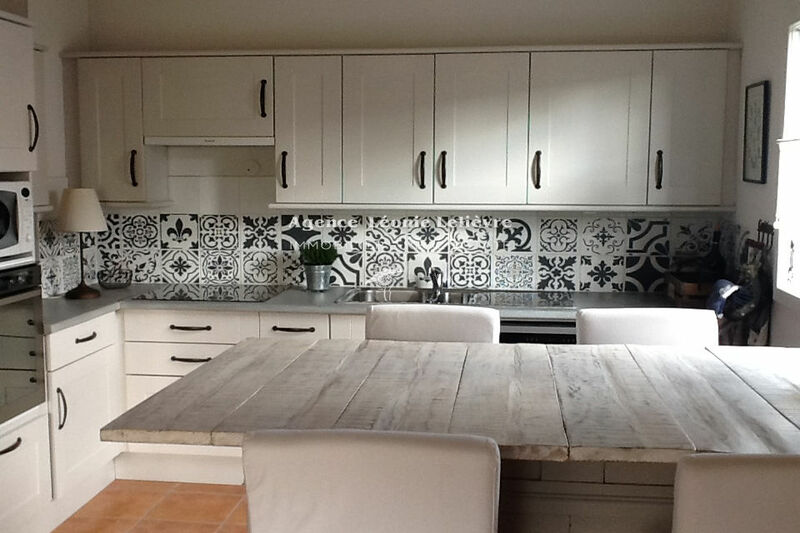 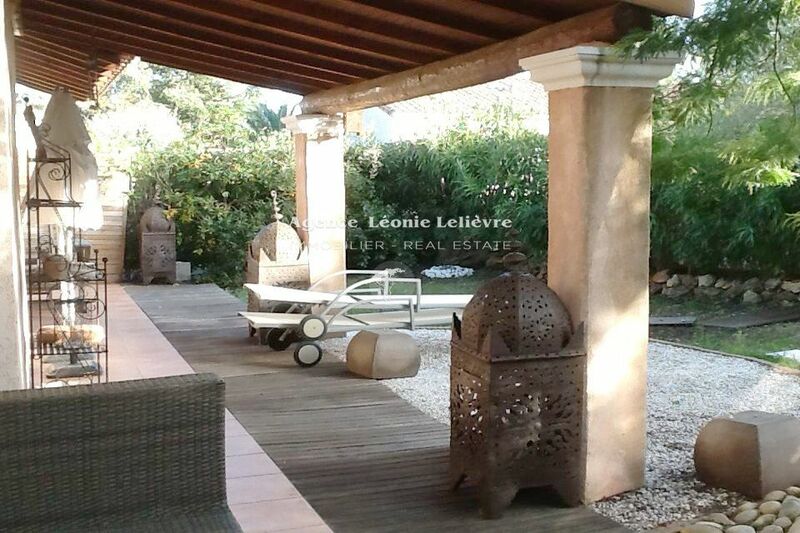 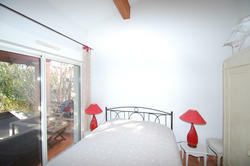 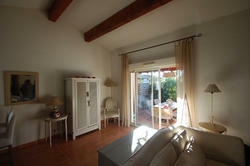 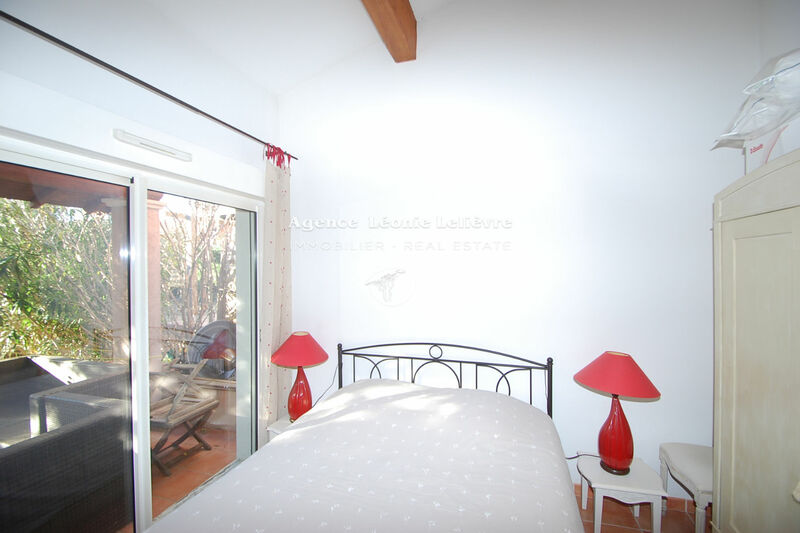 Nice, single storey house of 80 sqm² with large terraces and private garden of ​​272 m². 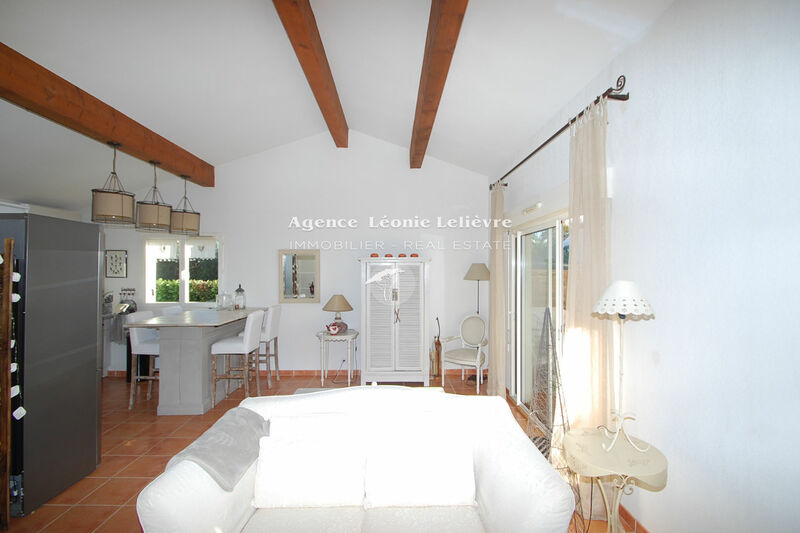 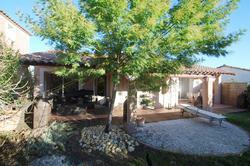 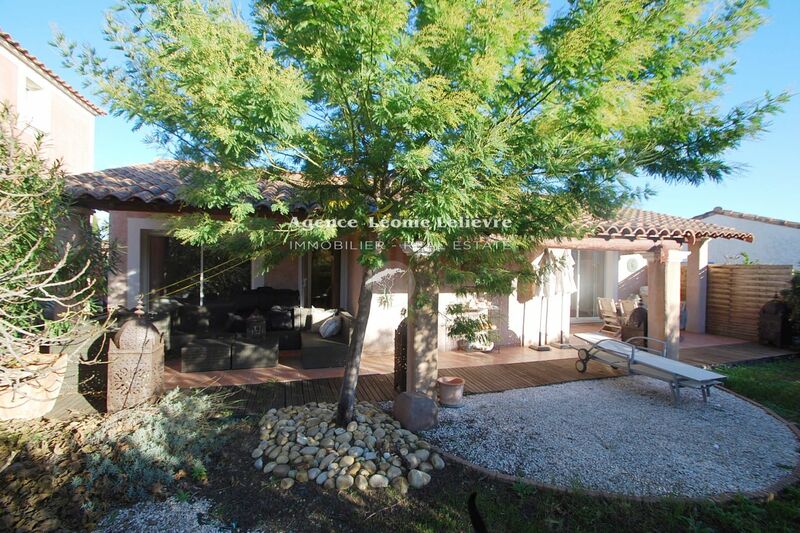 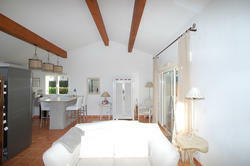 in secure estate with pool near the 18holes Golf of Roquebrune sur Argens. 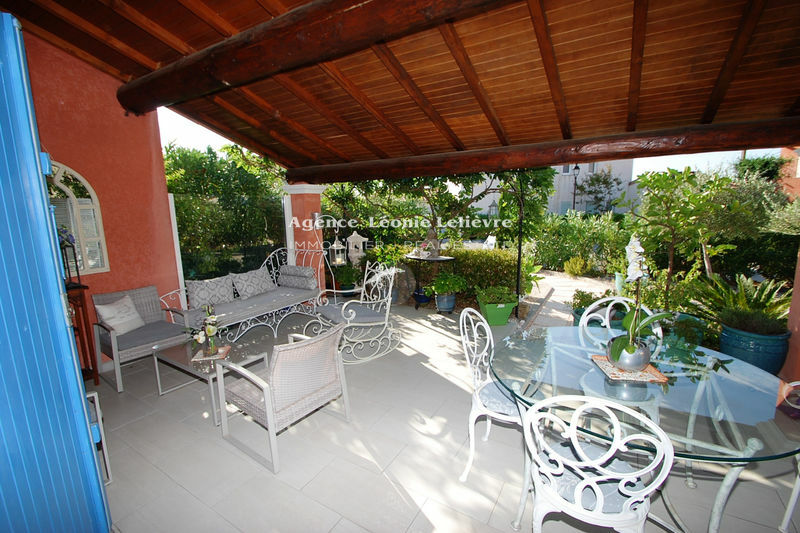 The entry serves a bathroom and 1 toilet, a living room with open kitchen (table- island) opens onto two covered terraces, a large pantry, 2 bedrooms opening onto a terrace, a large bathroom, a toilet separate, the third bedroom is communicating with the bathroom of the entrance.